If you simply do not have the good fortune of calling Montecito or Santa Barbara "home" year-round, purchasing a vacation property to lure you to this casually luxurious, coastal paradise as often as possible is the next best thing. Recently, Zillow released an article detailing a number of ways to protect your second home when you are not there to enjoy it. Below, Riskin Associates tailors these steps to the Montecito/Santa Barbara area for an quick and informative read. The policy on your primary residence may not cover all of the personal property in your second home. While many standard policies will cover a portion of the belongings, it is important to check with your provider as to the extent of that coverage. Taking out a mortgage on your second home will likely require you to purchase a second homeowners insurance policy. Be sure that this policy is covering a vacation home, as unique risks of such properties should be outlined and covered. Below are a number of these unique risks. Oceanfront parcels are undoubtedly a desirable location for a vacation home. However, close frequent hurricanes can often cause flooding, which is usually not covered by your insurance policy. Fortunately, Montecito and Santa Barbara do not experience tropical storms with any regularity. However, the Santa Ynez Mountains are literally in the backyards of many Montecito estates while fires do not present danger frequently, fire insurance is highly encouraged. Earthquake concerns do tend to come up for many out of the area buyers. Earth quakes do happen occasionally in the southern California area, earthquake insurance is another option for homeowners to protect themselves and their properties. Riskin Associates provides buyers with an in depth booklet detailing the risks of earthquake damage and the many ways to protect your home. Vacation homes are often left vacant for much of year. This can leave homeowners at risk for unnoticed electrical fire, pipe flooding or theft. Renting your home to tenants during your absence is a great way to ensure your property is cared for. Another way to protect your home is to ensure that your insurance coverage lines up with the current replacement cost of your home. Finally, have a professional inspect the major systems in your home (plumbing, electrical etc.) to ensure that these systems are up to date and in good condition. Should you decide to lease your home to tenants to avoid leaving it vacant, there are a number of precautions to take. Homeowners insurance may cover incidentals and personal injury of tenants if you rent out your home only occasionally and for short periods of time, if you plan to rent your home for longer than four weeks, consider landlords insurance to cover a wide range of circumstances. Also, take the extra steps to conduct background checks on potential tenants, draft lease agreements or purchase an umbrella insurance policy. 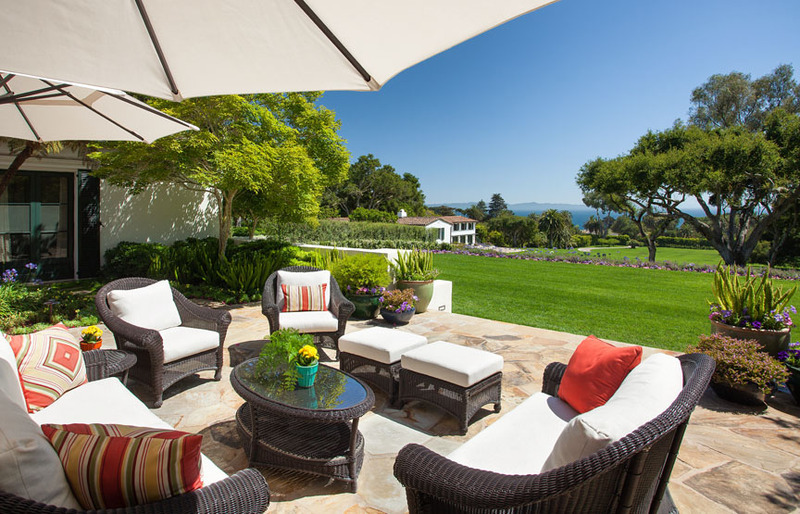 Owning a vacation property in Montecito or Santa Barbara offers a lifetime of memories with family and friends in one of the west coast's most coveted locales. If you are purchasing a home in the area for the first time, working with a team of real estate agents who hold an intimate understanding of this niche market is crucial, particularly when navigating the myriad of intricacies vacation homes can present.